Just as New Zealand’s perceived ‘tyranny of distance’ has become Rocket Lab’s greatest asset in targeting their aspirational weekly launch schedule, so too does our limited market size and relative lack of industry infrastructure offer unexpected opportunity. This is particularly true of the Wellington region where much of the traditional manufacturing base migrated offshore through the 1980s and 90s as witnessed by the automobile assembly industry; an international yardstick of mass production. In 1990 General Motors ceased all production followed by Ford and Mazda in 1997. The only remaining producers, Toyota, Nissan and Honda all closed their plants the following year in 1998. Instead of lamenting the loss, it gives us an exciting mandate to seek new alternatives, to explore new forms of manufacturing and business models more suited to our location. The relative isolation of New Zealand confers real advantages. Being at the edge brings the freedom to imagine, to invent and innovate without reference to established industry conventions. Seen in this context, we have a very powerful and distinctive advantage in Design-led high value manufacturing that we can take to other industry centres around New Zealand and the world. The opportunity is not lost on enterprising graduates and youthful entrepreneurs from the region; if industry does not offer you an obvious career path then invent your own. Craig Bond, Robbie van Dam and Stu Barr met at VUW during their Industrial Design studies and discovered they shared an enduring passion for nature and protecting New Zealand’s endemic species at risk. They each went their own way after graduation reuniting in 2005 for a research project with the Department of Conservation. The collaboration resulted in Goodnature, a company committed to providing pragmatic solutions to one of our most serious environmental problems - biodiversity decline - through the design and manufacture of automatic traps that humanely kill pest animals and then reset themselves; potentially slashing the cost of trapping by an astonishing 90% and all without the use of toxins. The core technologies designed to address New Zealand’s conservation issues are now being evolved to target a range of introduced species globally, thereby supporting the notion of New Zealand as a ‘hothouse’ for developing product systems that are scalable, from your backyard to planet Earth. “You can’t judge a book by its cover”, but for Pureaudio the Industrial Design needed to be distinctive enough to entice people to open the book or in this case listen to the amplifier. As a new international brand Pureaudio’s design needed to attract attention and demonstrate its refined approach to internal electronics. 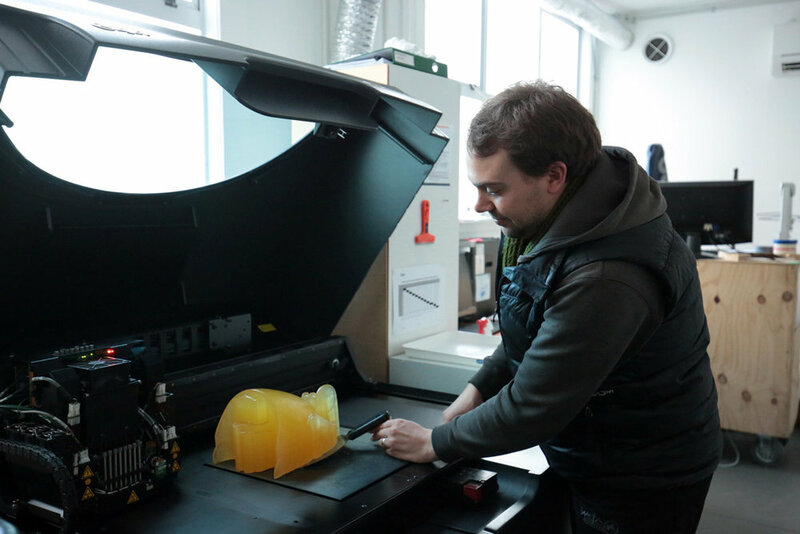 The design maximizes the potential of digital manufacturing to reduce upfront investment whilst offering ongoing flexibility for improvements and tailoring it to various markets. The tessellated open cover was designed to allow heat to flow freely away from the product and offer transparency as the internal components are visible. In keeping with a contemporary understanding of luxury, the design is also very mindful of materials, harvesting the triangles from the cover to be reused to create the heatsinks. The dream of two wheel drive bikes (2x2) is a niche traditionally occupied by some of the world’s wackier inventions. The dream has now been given a serious dose of reality in - UBCO 2X2 Utility Electric Vehicle (UEV) – the world’s first production dual electric drive bike. The initial prototype featured at the Mystery Creek Field Days in 2014. 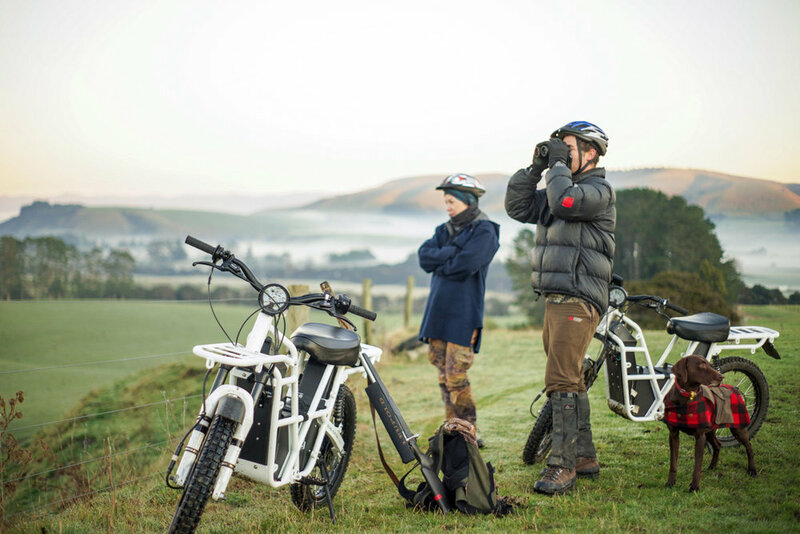 Developed by Anthony Clyde from Whakatāne and Industrial Designer Daryl Neal from Wellington as a lightweight, quiet and emission free alternative to the two stroke farmbike. It attracted the attention of Tim Allan at Locus Research a Tauranga-based product development and innovation consulting company. Since then UBCO has changed gear, partnering with energy provider Meridian Energy and with interest from new markets like eco-tourism operators where digital connectivity location awareness, fleet management and safety in recreational environments are important features. The Silent Journey makes a poetic case for this new form of transport. 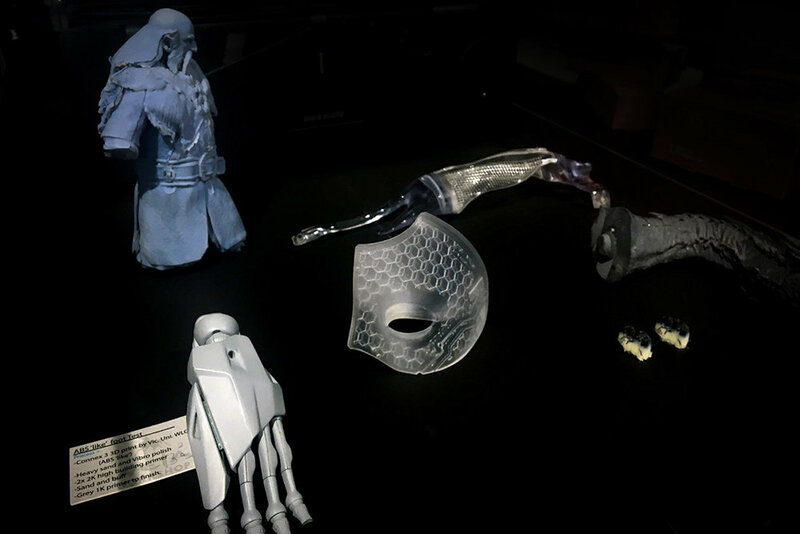 Weta Workshop has its roots in a modest Wellington based start-up - RT Effects founded in 1987 by Sir Richard Taylor and Tania Rogers - who then partnered with Sir Peter Jackson and Jamie Selkirk in 1994 to form Weta Workshop. It heralded a new form of high-value manufacturing offering a provocative scenario for defining our ‘factories of the future’. Exemplifying niche manufacturing by combining its own special range of ingredients: initially in the form of an artisan culture that we enjoy in our creative capital, which then adds value to an equally accessible and unique NZ commodity – our landscape. By expanding those resources on the back of the digital revolution, the resulting IP is configured and exported as digital files. Not surprisingly, our film industry has transformed into a high-tech industry with a multi-disciplinary research culture based on computer science, graphics, Design and the Arts. The economic value of this strategy is reflected in the jobs, spin-offs and income generated for the region; as well as cultural and reputational capital for the nation. Hunter Safety Lab was founded by David Grove and Michael Scott, two hunters and Industrial Designers from Wellington who were worried by stories of hunters shot dead by their hunting buddies and asked themselves ‘what can we do to prevent these horrific accidents?’ Responding to the alarming statistic that 80% of victims are shot by the person they are hunting with, David and Michael developed IRIS (Infrared Retroreflector Identification System): a two part system comprising a gun-mounted infrared laser sensor and infrared reflective strips integrated into Hunter Safety Lab’s vests and caps. IRIS was designed to make safe hunters safer – day or night in all conditions. Not content with saving lives in the field, and in the spirit of seeking Design-led applications of their technology elsewhere, Hunter Safety Labs now has the workplace in their sights – developing pedestrian detection technology to protect plant workers in plants at risk of being struck by mobile machinery – expanding their focus from bullets to bulldozers. 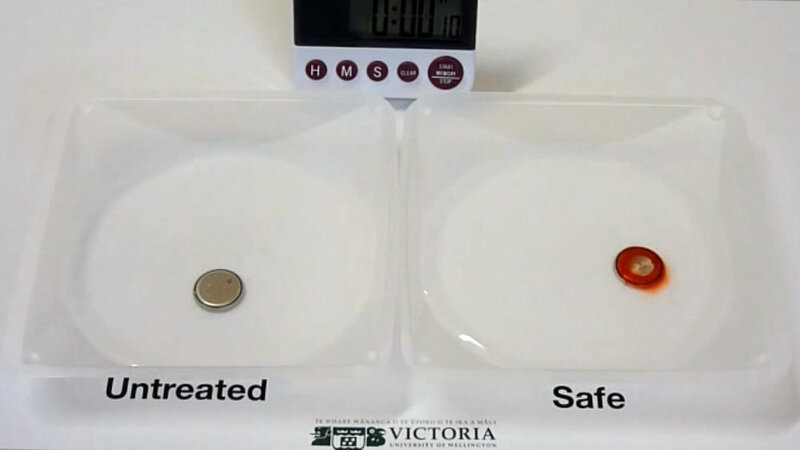 Did you know an ingested coin-sized battery could pose a serious threat to children, including permanent disability or death? More than 3,000 incidents are reported yearly in the US alone The enticing-looking battery is likely to lodge in the oesophagus if swallowed and starts burning surrounding tissue, which can lead to life-threatening complications if not removed within 2 hours. It is difficult to get timely treatment because ingestion results in little or no noticeable symptoms until it causes severe intestinal damage and the coin-like appearance often confuses medical professionals despite X-ray evidence. This child-safe battery, developed in collaboration with the world's largest battery manufacturer, alerts caregivers to incidents by immediately staining the oral area with a distinctive colour. The formulation is colour-coded assisting medical staff in identifying batteries of a higher voltage that require special attention. Aversive agents are also quickly released in the mouth on contact to deter swallowing. The patented technology, which experts around the world have dubbed as "the only solution” will soon be available to the public.